Until this recipe, I was never a huge fan of scones. They were always too dry, too crumbly and never sweet enough for my never satisfied sweet-tooth. Then mum gave me this recipe made from only three ingredients. All you need is some self raising flour, some lemonade (none of that diet lemonade stuff) and double cream. Don't worry, they don't taste lemony at all though it could be quite nice if they did! It takes about 10 minutes, if that, to throw all of the ingredients together and 10-15 for them to bake in the oven. I'm pretty convinced that our oven is a Transformer because of the horrific noises it makes when it's asked to do something but we'll let that one slide; if it was a Transformer, I'm sure it would've eaten these scones by now. First, preheat your oven to 200C then cut a sheet of greaseproof paper to the size of your baking tray. If you don't have greaseproof paper then greasing the tray with butter or putting down flat muffin cases should be fine. Sieve the flour into a mixing bowl and make a small well in the centre of the pile. This is where the lemonade and cream will go! Pour the cup of lemonade in (slowly) then add the cup of double cream to the well too. Stir gently with a knife until the mixture comes together, then use your hands to kneed it gently, keeping all of the air in. This is important as they won't rise if you punch the air out! 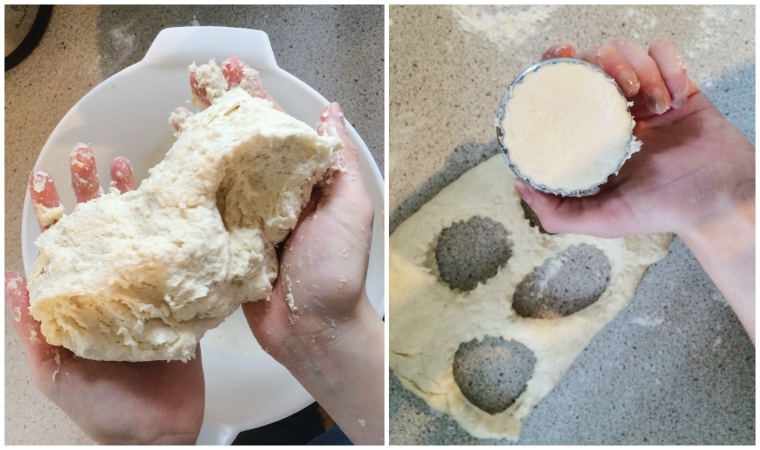 Pat the dough out into a 1" thick base, then use a circle cutter of your choice to cut out the scones. 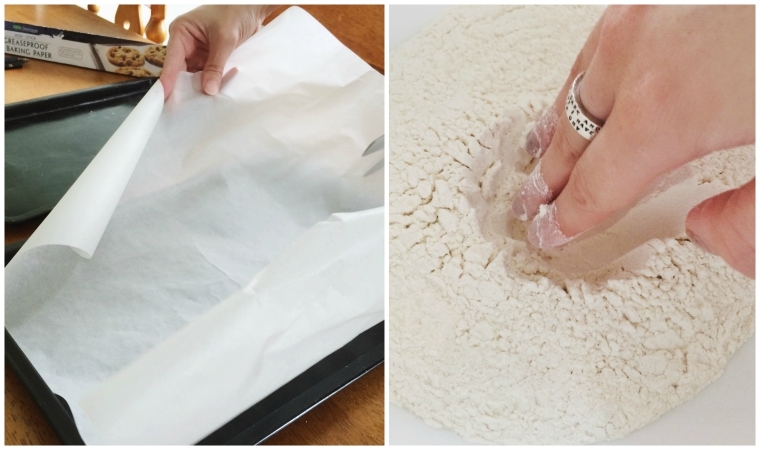 Place the cut out dough onto the greaseproof paper or greased baking tray. Make sure you spread them out evenly as they will rise and expand a little in the oven. Place them in your preheated oven for 10-15 minutes or until risen and golden brown! 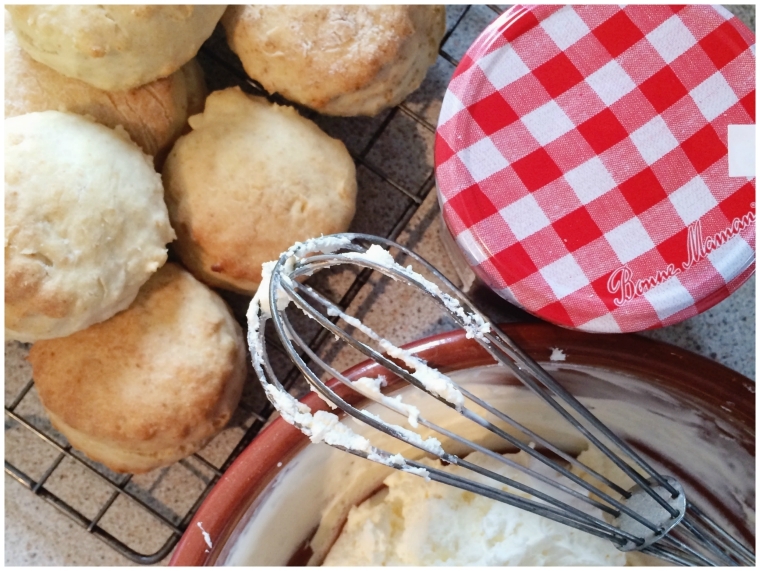 While the scones are baking or cooling, you can use the rest of the double cream to make whipped cream as a topping. Who doesn't like cream and jam? Simply whisk on a low speed (a lot quicker with an electric whisk) until thick and fluffy then place in the fridge to cool while your scones do the same. Finally, cut your scones in half and top with whatever you like and tuck in! Enjoy. Did you make this recipe? 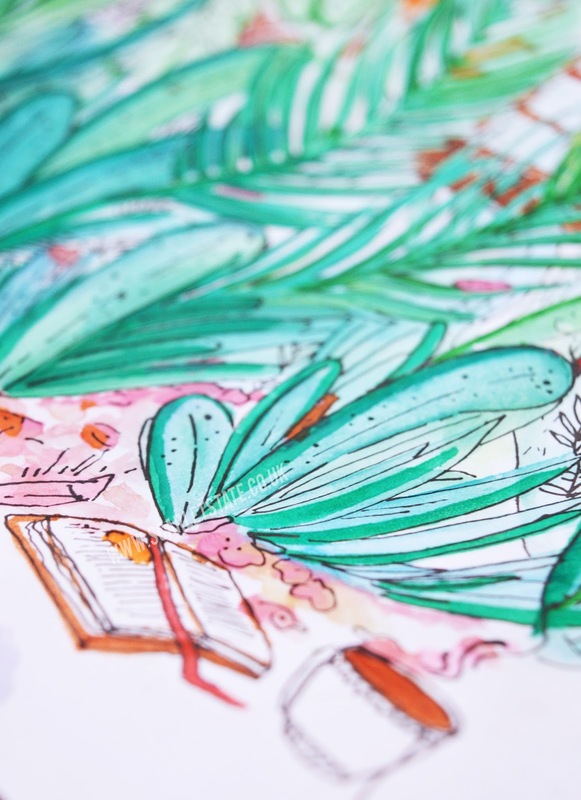 Let me know if you did and what you thought of them! What's your favourite baked treat? See my breakfast bagel recipe here.